I recently had the opportunity to test some defensive ammo that intrigued me. 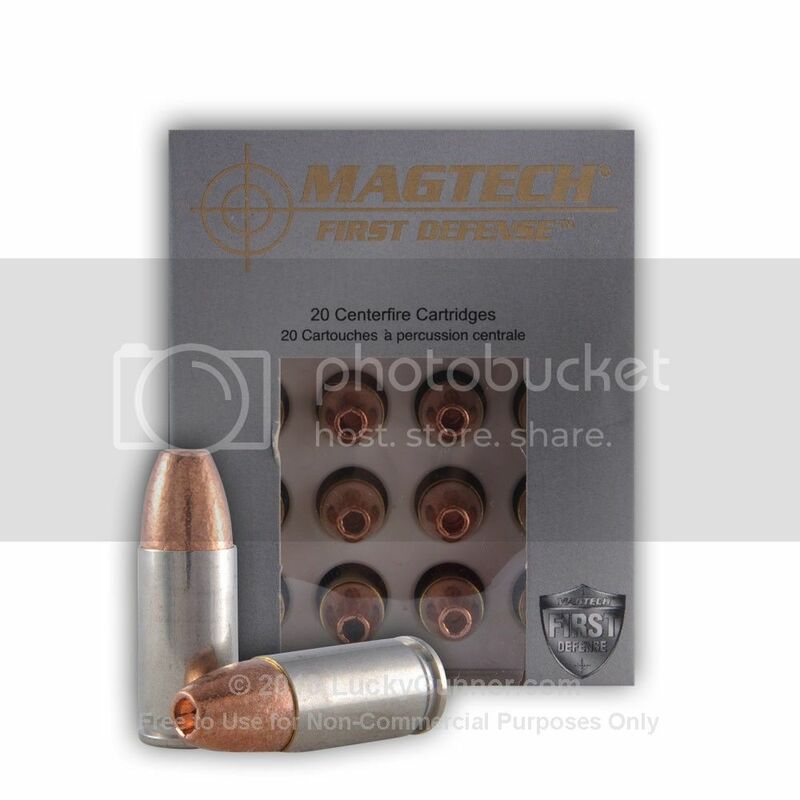 Lead projectiles and firearms, go together like peanut butter and jelly, but Magtech's First Defense rounds with 100% copper bullets, turn that equation upside-down. The concept of an all copper bullet appeals to the Greenie in me, but if I ever need my defensive rounds for actual defense, I won't feel any different about shooting a bad guy and sparing him potential lead poisoning. There is a reason for the use of these bullets over those with a lead core. 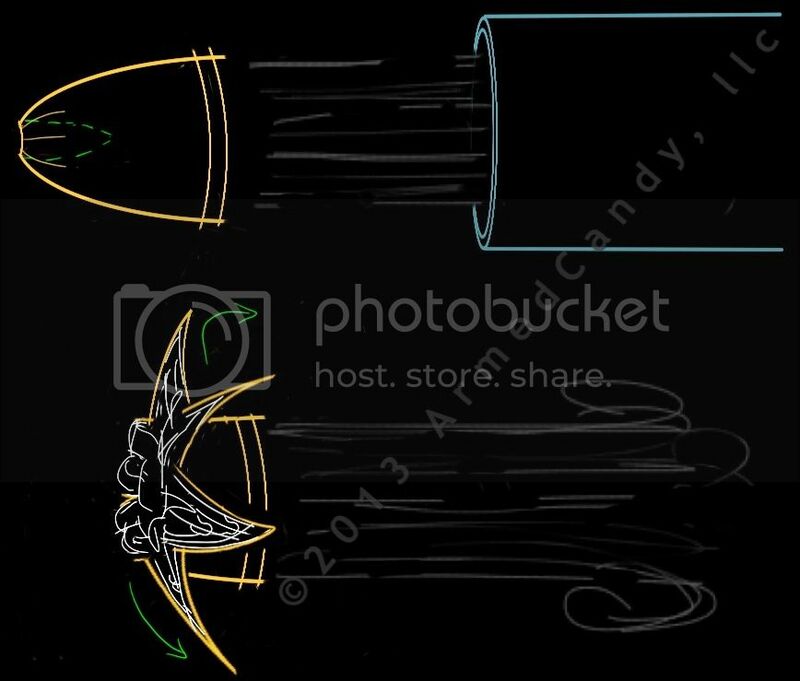 The drawing to the left is a crude depiction of a bullet moving through the air. The top sketch shows the hollow point bullet leaving the muzzle. Check out a much better visualization of bullet extension courtesy of Vuurwapenblog. When it comes to materials, Magtech spared little expense on their First Defense SCHP ammo. 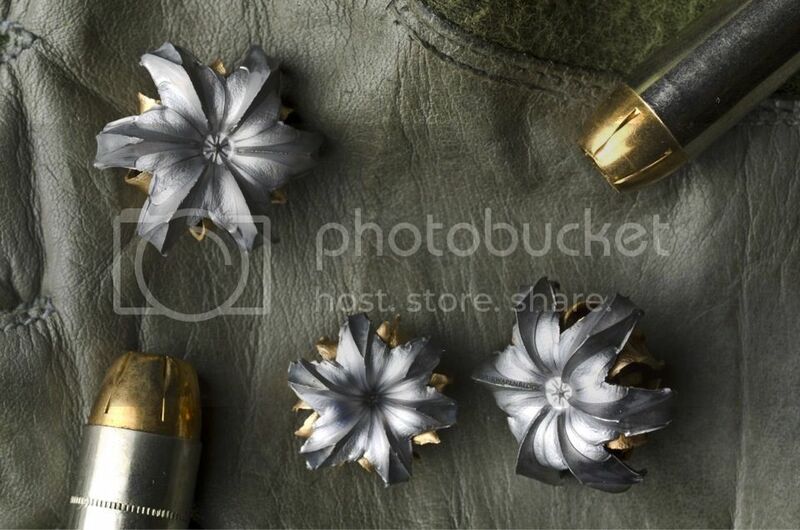 Not only are the bullets solid copper, but the casings are new nickel plated. For those of you who reload, don't let just anyone sweep your brass! The felt recoil was no more intense than my usual range rounds, but usually defense rounds are hotter than range ammo, so be sure to know what you're getting. I didn't have a single feed issue. However, I was pretty surprised at the level of ick, 20 rounds left on my feed ramp. I might have worried about feeding if I'd shot 100 rounds of this stuff, as I do with range ammo. Then again, at about $1 a pop, I would only break these out for a guest who really deserved it. *If you see the term "bonded" on your copper jacketed hollow points, the copper is attached to the lead core in such a way, that when the copper peals back, it will take the lead with it. This is another way to ensure the intensity of impact from the bullet.